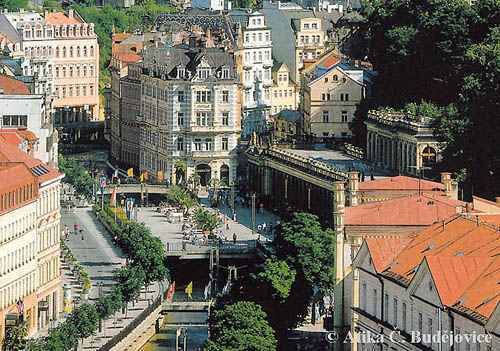 The Karlovy Vary International Film Festival is a film festival held annually in July in Karlovy Vary (Carlsbad), Czech Republic. Because of its success in the past few years the Karlovy Vary festival has become one of the most significant film events in Central and Eastern Europe. The Karlovy Vary International Film Festival has become the most significant annual film event in Central and Eastern Europe. Its concept takes advantage of the Czech Republic’s geopolitical location at the crossroads of East and West, and the festival presents over 200 new films from all over the world each year. Although the festival is particularly celebrated for young audiences that help create an exceptionally laidback atmosphere, one of the organizers’ main goals is to promote world cinema and encourage the international exchange and promotion of film. The media attention focused on the Karlovy Vary International Film Festival each year prompts us to continually seek improvements and expand the range of services on offer. This also applies for journalists. If you plan to attend the 41st Karlovy Vary IFF as a journalist, please apply for the Press accreditation from April 16 till June 7, 2007.